Very excited to be sharing this guest post by Tom from This Online World on side hustles and earning extra income. 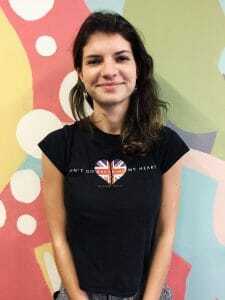 A fellow student all the way in Canada who’s passionate about online marketing, passive income and even crypto! He has a great hustle mindset and his website has a lot of good info on money hacking and earning a bit more $$ – you gotta check him out. The article is written in dollar signs $$, but simply change the currency and it works just as well. What’s important is the idea! Starting your own side hustle is one of the coolest ways to increase your income: it’s basically growing your own little money baby. However, when it comes to the actual work, it can be difficult to know when or how to start. From finding extra time to securing side hustle opportunities, getting the ball rolling on your extra income generation journey requires time and some thought. For students, it can be especially difficult to find the time or correct side hustle opportunity. Assignments and exams can occupy most of your day, and the nature of student life often equates to a less than stable financial situation. I am currently in my last year college, and I’ve certainly had my share of cheap beer, instant Ramen, and a lonely bank balance. However, whether you are in school or employed, wealthy or just making ends meet, skilled in a craft or a complete novice, it is possible to start a successful side hustle that makes you an extra $1,000 a year. You have 12 months in a year to make an extra $1,000. That means you only have to make about $85/month of additional income with your side hustles. When you think about making an extra $1,000 a year as only having to earn an extra $85 a month, it doesn’t seem so daunting. Personally, I take 1-2 days out of every month to dedicate towards my various side hustles. It doesn’t matter if you take on a variety of side hustles or stick to a single job. As long as you take an active approach to making more money and stick to a plan, you can succeed. Let’s take a look at 12 possible side hustle ideas that you can do once a month to make an extra $1,000 a year. I’m a staunch supporter of working online to earn extra money, and content writing is always my first recommendation (especially for students). Content writing can expand your skill set and open the doors for future employment or freelance opportunities (looks great on a CV!). Additionally, content writing jobs are often remote and have incredibly flexible working hours. Look on job posting websites for companies that are seeking freelance writers (Indeed.com, LinkedIn, Monster.ca are some great ones). Post your own advertisement on your local job boards or online marketplaces. Offer your content writing services to local businesses in your area! Create gigs on online websites like Fiverr. There are many freelance writers who use Fiverr to generate income, and most price their content at $5-$10 for every 500 words of content. Most content writing jobs won’t require you to be an English major or have an extensive portfolio. As long as you are a decent writer, you should be able to find work that pays between $10-$15/hour without a problem! Let’s face it: no one really enjoys chores. However, every job someone doesn’t feel like doing is another side hustle opportunity that can make you some quick side income! TaskRabbit was started to provide a secure task-based marketplace. By becoming a Tasker on TaskRabbit, you can set your own hours and choose to complete various tasks people are requesting for payment. The work you complete on TaskRabbit won’t be glamorous, but it typically pays well (and you are able to set your pay range). Chances are, you could spend a few hours helping someone move or do some yard work and easily walk away with $100+. 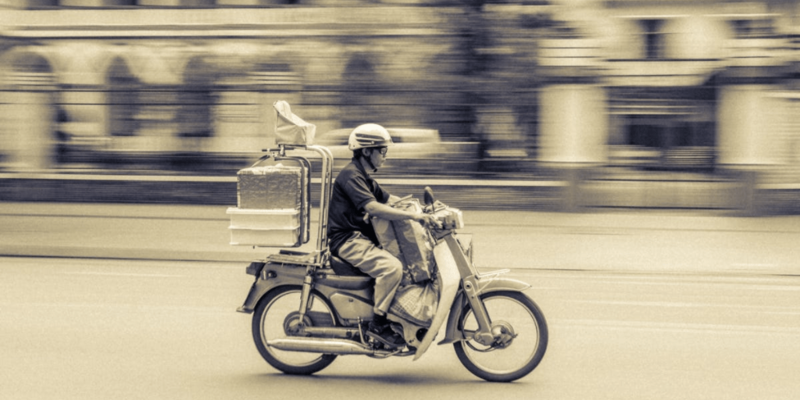 Whether you work for Just Eat, Skip the Dishes, Grub Hub, Uber Eats, Deliveroo or some other delivery service, making money by delivering food is a simple but effective method for making some extra cash. If your car isn’t too old, simply register to be a part-time delivery driver for a popular delivery service in your town. You can set your own hours, and it will only take you a few deliveries to make your monthly target of $85. Depending on your town, people might tip slightly more or less, but a single night of work should help you reach that $1,000 a year goal. 3 college buddies and I moved into the most grungy, decrepit old student house around town when we started school. However, part of me is really glad we did. Besides the fact that student living can be hilariously awful, I was also able to find some odd jobs and make a few extra hundred dollars simply by asking my landlord if he needed help. Hiring professional painters, repairmen, garbage removers, or cleaning services is expensive. Hiring desperate students is not. Trust me when I say landlords always have projects on the go. Whether you are currently renting or not, finding occasional work for fixer-upper projects is not difficult. Reach out to landlords or look online, and spend a day painting, tearing up carpet, fixing holes in the wall, or cleaning a place. You can earn an easy $100-$150 for a day of work, and you’ll probably walk away with a newfound appreciation for your own home. If you play an instrument or can sing fairly well, busking might be the right side hustle for you! My housemate and I spent several weekends playing guitar on the street corner of our local downtown scene. We’re ok players, so busking provides us with a great way to bond, practice our songs, and also earn a simple $20-$30/each for a few hours of enjoyable music. You don’t have to be an incredible musician to busk. However, you will need the ability to get over stage fright. Personally, I prefer busking with my friend since I don’t really want to go alone. But I still find busking to be an enjoyable way to make extra money for something that I would do for free anyway. Just make sure your town or city doesn’t require a permit to busk (or obtain a permit if you need to). Have you ever looked back at high school/elementary homework and realized just how easy it is (shout out to our developed, adult brains). Well, if your town or city has a few high schools nearby, chances are you can find some part time work tutoring students in math, science, or languages. In my school, tutors were regularly paid $15-$25/hour by parents, especially in more advanced subjects like calculus or chemistry. If you have a knack for school and enjoy helping others, tutoring might be the right side hustle for you! Plus, most tutoring sessions only last 1-3 hours, so you can make some quick and easy side income without spending too much time! If you like babies and kids, babysitting is an excellent way to make extra money every month. Half the time the kid will be sleeping, so you’re pretty much getting paid to do nothing. Sounds like a dream! Popular websites like SitterCity have made working as a babysitter (in the U.S.) incredibly easy. However, if you aren’t a U.S. resident, you can always post your own advertisements on local job boards or just ask around town. Many of my college friends have been babysitters throughout their life, and it’s a great way to make additional income. Even if you only work for 1 family, you can probably make $85 a month from babysitting once or twice (depending on the length of the job). This is a similarly straightforward idea to delivering food (except you’re delivering people). If you have a car that meets Uber or Lyft’s requirements, you can just drive one day of every month and make extra money. Uber or Lyft might not be a great long term solution due to variability in available rides and the hidden cost of every kilometer you drive (repairs, oil changes, wear and tear), but it isn’t a bad side hustle to do once in a while. Ideally schedule your driving session around a busy time where you can benefit from surcharges! I have two friends who have been dating for a couple of years and live in an apartment together. Their place has 2 bedrooms, so once in a while they rent out one of the rooms on AirBnB for the weekend to make some extra cash. They don’t particularly enjoy having company over, so they usually schedule their AirBnB weekends around times they won’t be home often or there’s an event in town that their visitor will most likely be attending. In any case, it’s an incredibly straightforward way to make $200+ for a weekend of hosting. If you live in a major city, using AirBnB to make some extra money every month should be even easier. All you need is a decent space, price level, and advertisement on AirBnB. Reddit is an incredible community, and also presents budding entrepreneurs and side-hustlers with money making opportunities. r/forhire is one of my favorite subreddits, and it’s exactly what it sounds like: a job marketplace. 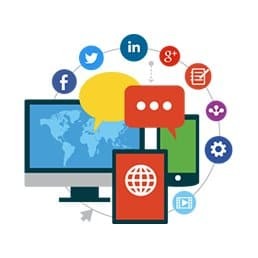 Users can either post ‘hiring’ or ‘for hire’ posts that outline specific work and skills that are being sought after or offered. If you have experience in any of these field or have another service to offer, definitely check out Reddit! It’s funny how many people buy an adorable companion only to realize they don’t ever want to actually walk it. Dog walking, like babysitting, is a great way to make extra income just by taking care of a living thing. 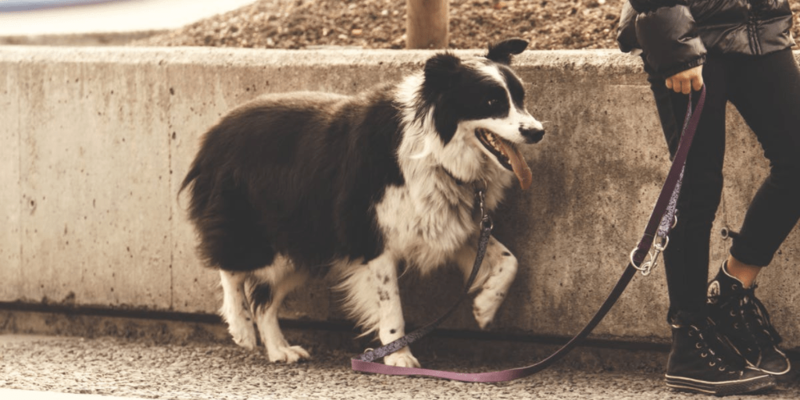 If you are good with dogs and enjoy the outdoors, consider walking dogs once or twice a month! Swifto (New York City only). While this isn’t a concrete side hustle, I couldn’t resist including something fun in this list. Slogan Slingers is a website where companies request ideas for their next great slogan and have users deliver them the answer to earn money. For example, a plumbing company might post a contest for $250 that explains what kind of slogan they’re looking for, and users can submit up to 3 entries to try to win. If you win, you get the money. If you lose, nothing happens! The website isn’t incredibly popular, but there is usually a new contest available every other day. 1,000-2,000 people usually enter a contest, but if you have a knack for marketing, it could be a fun website to visit. I’ve only been slogan slinging for 1 month and haven’t won anything yet, but I plan to keep at it! Okay, What’s an Extra $1,000? You might be wondering what’s the point of working side jobs to earn an extra $1,000 a year, but you’d be surprised at how much you can accomplish with an extra $1,000 in your bank account. Thinking of investing, but never had enough saved up to take the first steps? Use your thousand dollars. Want to help ease the sting of utility bills and rent? Use your extra thousand dollars. Or, want to start your own business but need a bit of extra cash to start out? Well, you now have an extra thousand dollars. 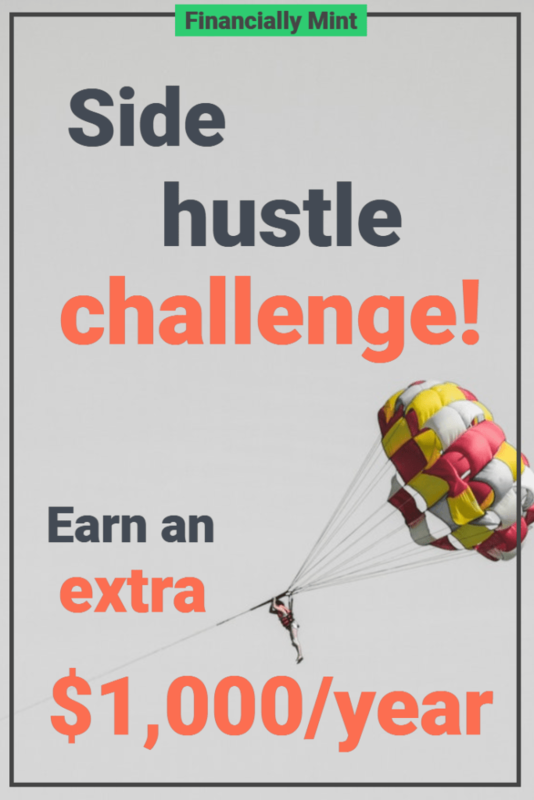 I hope you have found this side hustle challenge to be inspiring and provide some effective job opportunities to get started! As long as you take active, baby steps towards generating additional income, you can easily reach a goal of an additional $1,000/ear or surpass it completely. Best of luck in your side hustle journey! Tom from ThisOnlineWorld is a Canadian college student with a passion for marketing, passive income, and making money online.